Twitter can feel like a field of land mines. You need to sidestep rude comments, tiptoe past snarky missives and cut angry trolls a wide berth. That’s why NASA astronaut Jack Fischer’s account is a place of wonder and magic, a digital oasis. The account, @Astro2fish, is a “burrito of awesomeness smothered in awesome sauce,” to borrow one of Fischer’s phrases.
. He’s excited to be there. Very, very excited. His Twitter serves as his conduit to Earth-bound space fans and his tweets jump off the screen in waves of enthusiasm and delight. He also has a steady hand with the ISS cameras. Combine the two and you get an unending flow of space fabulousness. 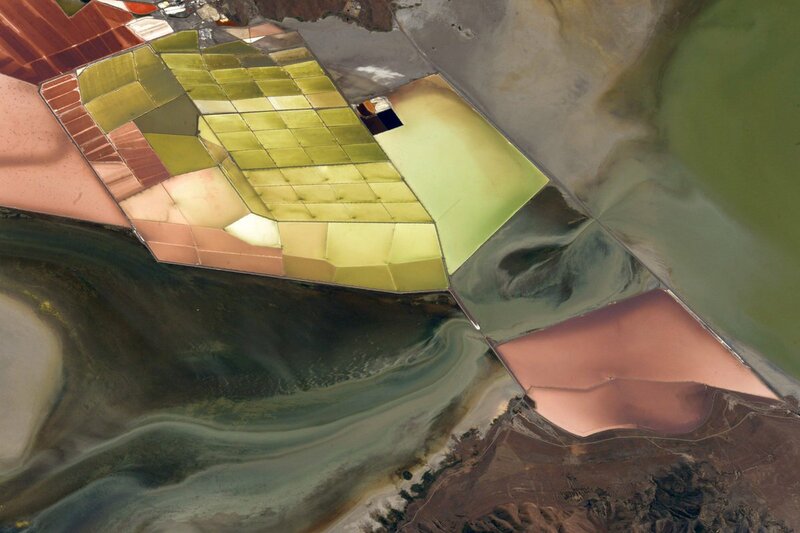 This swirling, colorful view of a slice of our planet looks like a kaleidoscope collided with a Picasso painting. Yes, @Astro2fish, it does look like a watercolor tray. And I’m lost for a moment in a reverie at the surreal beauty of our strange and delightful home rock. Fischer doesn’t just post photos, he posts poetry. Glaciers look like a wedding veil. Footsteps retreat into water. He sees a face on the side of Mount St. Helens. And sometimes he’s just plain goofy, like when he says an aurora “slathers up the sky in awesome sauce” or he crafts an impossible tower of pudding, free of the shackles of Earth’s gravity. I would like to think I would blurt out phrases like “space-ninja” if I ever got the chance to float around the ISS. I would play with my food, stacking cake and candy into a “Bitesize Mountain of Yumiosity.” I would get lost in a “wicked-cool, space-suit-traffic-jam” and stare in awe at the beauty of the glowing curve of the Earth below. Fischer is the dream realized. He carries a little piece of every one of us who fantasized about going to Space Camp, ate freeze-dried “astronaut ice cream” and watched endless episodes of Star Trek. We were all kids daydreaming about the stars. Fischer doesn’t forget to pay tribute to that child inside, still full of wonder and curiosity about the world beyond our planet’s gravity. Fischer is due back on Earth in September, but his legacy of unbridled space-joy will remain alive on Twitter as an epic outpouring of awesome sauce.